Ratomir Dujkovic could be in line for a second spell in charge of Rwanda after being placed on a shortlist to become the national team's next coach. The 68-year-old Serbian led the Wasps for three years from 2001, guiding them to the 2004 Africa Cup of Nations in Tunisia. He is among eight coaches being considered by the Federation of Rwandan Football Associations (Ferwafa) to succeed Eric Nshimiyimana, whose contract ends on 31 July. It is understood that Ferwafa may seek to end Nshimiyimana's reign sooner than that date. Nshimiyimana, a former Rwanda skipper, has not performed well since taking over from Milutin 'Micho' Sredojevic in March last year, having failed to take the team to the later stages of the Africa Cup of Nations, CHAN qualifiers and also the regional Cecafa Senior Challenge Cup in Kenya. Ferwafa president Vincent Degaule Nzamwita said a committee will be set up and and will work closely with the Ministry of Sports and Culture to assess the eight coaches on the shortlist. 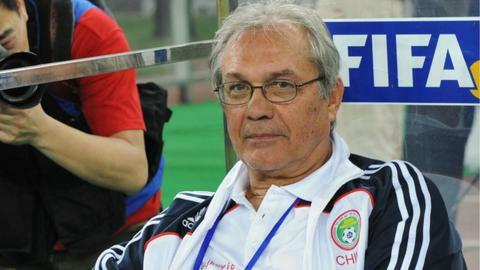 Dujkovic, who also took Ghana to the 2006 World Cup, is believed to be in a strong position. The other coaches listed for the job include; Luc Eymael, Didier Gomes da Rosa, Branko Tucak, Rene Feller, Hans Michael Weiss and former Malawi, Ethiopia and Namibia coach Tom Saintfiet. Next month, Rwanda begin their campaign to qualify for the 2015 Nations Cup and will learn who they will face in the second round of the preliminary stage when the draw is made on Sunday at the Confederation of African Football headquarters in Cairo, Egypt.